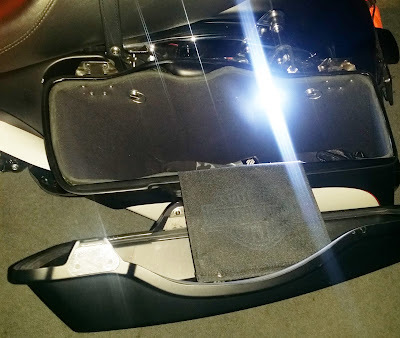 Seattle, WA - Continuing with their mission to revolutionize the lighting industry, Vision X Lighting introduces their universal bagger LED light kit which works in most any type of saddlebag, Trike trunk or dual sport bags. This LED light kit can also be used as an engine light dress up kit. These "BRIGHT" bagger lights were engineered specifically with today's motorcycle riders in mind. 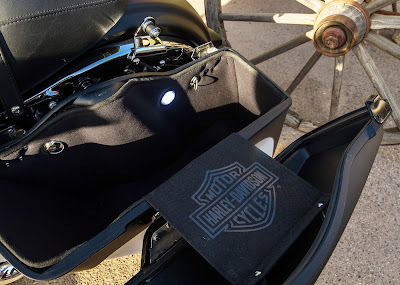 The new bagger lights low profile design is perfect for flush mount installation and attaches easily in minutes to the inside of your bags so you can see and find what you're looking for without making a mess...especially important for night time riding. The Vision X Bagger Light Kit comes with two weatherproof LED pods (2") on a lengthy 40" wiring harness and a flush mount switch. Each kit features Vision X's strong Lifetime Warranty! unbelievable output with a sharp appearance. There's headlights for Cruisers, Softails, Dyna's, Baggers and most other models that Harley offers. Vision X XMC LED Headlights can be used anywhere without worrying. Every part of the headlight has been approved and certified by the DOT in all states. There's also E-MARK and ADR models available, just in case you are from another corner of the globe. They also have product available for tons of other markets, including the booming ATV/UTV markets. Additionally, Vision X can be found on boat towers, off road vehicles, all terrain vehicles, on road vehicles and is now catapulting themselves in the motorcycle industry with a full line up of cutting edge headlights. Whatever the need, Vision X has a quality product to meet and exceed your expectations. For more information on Vision X Lighting, please call 888-489-9820, check them out at www.visionxusa.com or email them at info@visionxusa.com. Dealer Inquiries Invited!